What is Targeted Feedback and When Do I Use It? Over the past decade, there has been a significant transformation in the way principals interact with teachers. Principals are no longer just managers, they are also instructional leaders. More and more, they visit classrooms throughout the school year to gather data about teacher practice and student learning in order to improve student outcomes. One support in particular, targeted feedback, is a way to help teachers immediately shift their teaching practice to improve student outcomes. For the past 13 years, our experts at the Center for Educational Leadership have helped instructional leaders from across the country give helpful, targeted feedback. So what exactly is targeted feedback and when would you choose this support? Think about a piano player who plays a song for his teacher, but can't seem to reach one note located higher on the keyboard. The teacher can help her student in different ways: she could have a reflective conversation with him about why he thinks he cannot reach that note. She could send the student to a training that talks about how piano players can reach high notes. Or the teacher could tell the piano player right after he plays the section of that song what he could do to reach the higher note. Ideally, the teacher would want to provide this kind of feedback immediately so the piano player changes this part of his practice. The sooner the actionable feedback after an observation, the better (Wiggins, 2012). This last example illustrates what targeted feedback looks like. When working with teachers, targeted feedback is direct, specific and tied to an agreed upon instructional practice improvement goal. This kind of feedback builds on the strengths of teachers and is based upon the mutual understanding and agreement established with teachers about the kind of feedback they can expect. Teachers self-assess using student data and their own instructional practice data about what they would like to focus on within their classroom practice. They have the opportunity to discuss this self-assessment with their principal, so the principal can understand the teacher's goals, needs and intentions. While visiting the classroom, principals help teachers move to the next step in their practice by knowing how to better diagnose what they are on the verge of being able to do based on this specific focus. Your school has decided to focus on how to improve mathematical discourse for students based on formative and summative data. A teacher has self-assessed her practice and observes how several of her students struggle with communicating mathematical ideas. You visit her math classroom with this look-for in mind. After discussing the visit and understanding this specific teacher's needs, you decide to engage in a targeted feedback cycle specifically around her "turn and talk" structures. During the classroom visit you notice that the teacher tries to ask higher-level questions, but the questions are too general for the students to engage with each other on a deeper level. You suggest having her ask questions that are more tightly connected to her daily learning target. Using evidence from this classroom visit, you give her this targeted feedback and the next time you come to her classroom, she has implemented this change. You end this cycle with a conversation about the impact of this change in practice and on her students. Notice, you are not providing feedback to the teacher isolated from a larger conversation. Nor are you telling this teacher about a professional development session she could attend. You realize that she is almost able to do something in her teaching practice. By providing evidence-based, specific, strengths-based and timely feedback, she can make this change immediately. Teaching is a sophisticated endeavor. 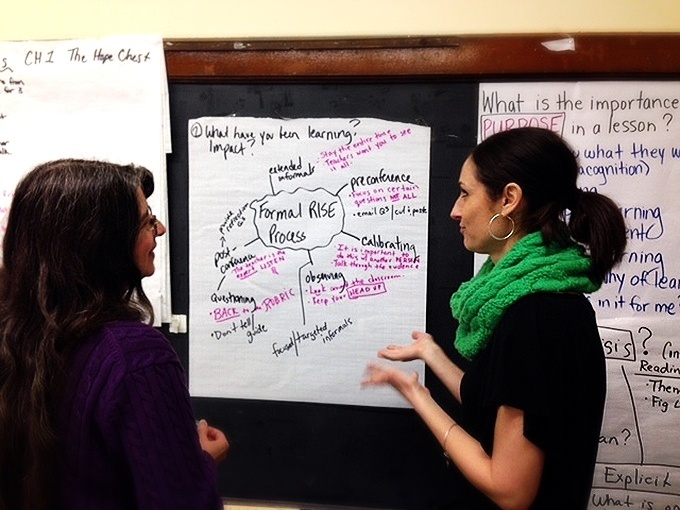 Targeted feedback is one lever instructional leaders can use to grow teaching practice. As one of our partner teachers described after being asked about how targeted feedback cycles worked with her principal: "I actually find it [feedback] really helpful. She is really coaching my practice, not my lesson." 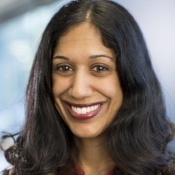 Sheeba Jacob is the director of extended learning at the Center for Educational Leadership. In her role, she supports the strategic development of all institutes, conferences and program offerings. She also supports district partnerships, specifically in targeted feedback and teaching effectiveness work with teachers and principals. She has a master's degree in language and literacy from the Harvard Graduate School of Education and over 12 years of education experience as a teacher, teacher leader and curriculum developer.